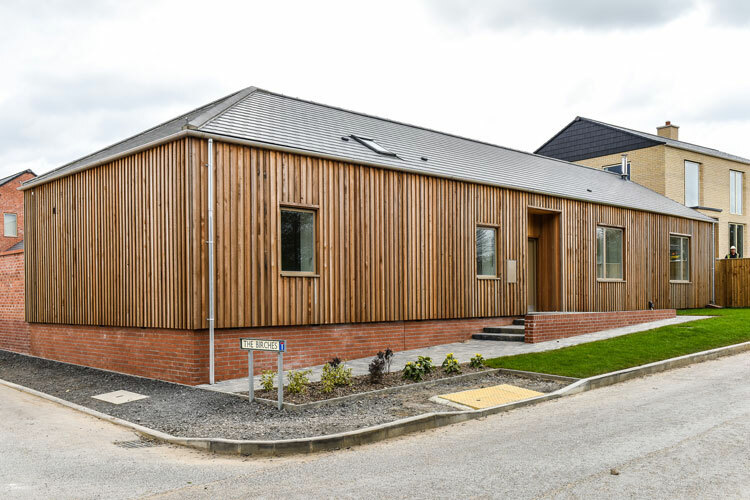 Cyden Homes engaged with national award winning architect, Jonathan Hendry Associates, to bring to fruition the innovative Par 3 in Humberston – a contemporary village development within a protected and managed environment. 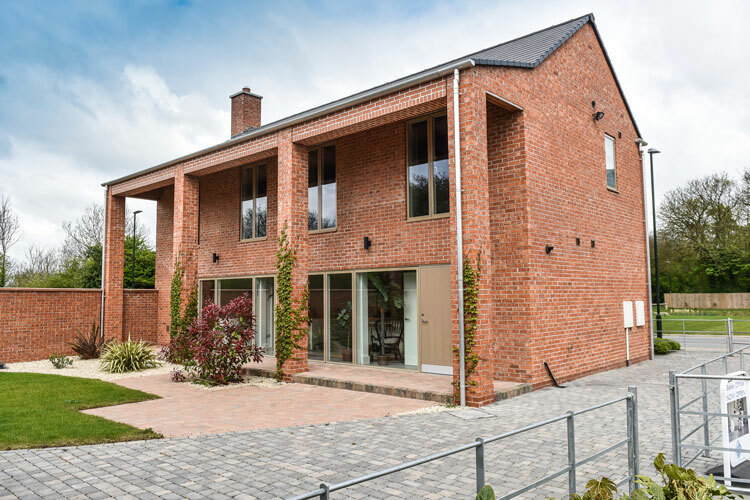 Among the fairways of the former Humberston Golf Course, meticulously designed residences were constructed by Cyden Homes to take maximum advantage of the natural environment. 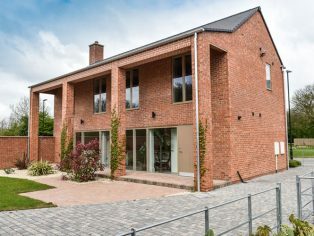 With the different styles and finishes to the houses, reflecting the surrounding natural beauty, it was important that the chosen rainwater system emulated the uniqueness of the buildings’ exteriors. Yeoman Rainguard’s SL Aluminium products were decided upon, in a milled finish, to complement the building materials used for the development. SL Aluminium half round 125 x 75mm gutters along with 75mm dia. down pipes were installed on the residences with Plain Cast Aluminium Hoppers added to some garage/out buildings. 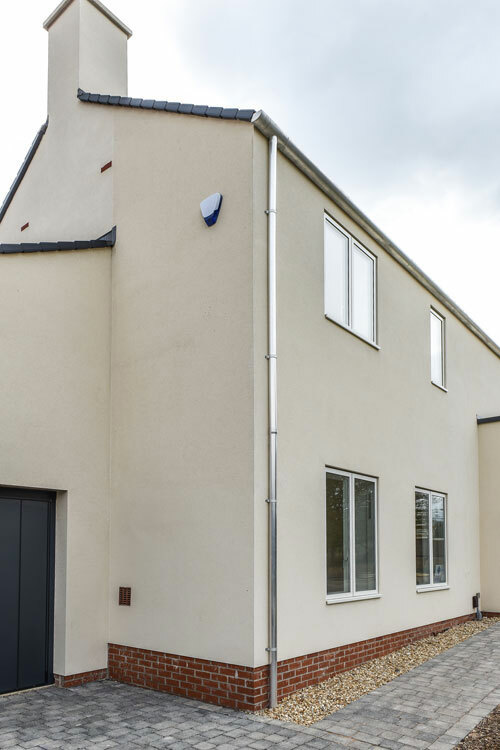 Aluminium rainwater systems not only offer aesthetic advantages but are also easy and quick to fit saving on site installation times when fitting to multiple units. Being a very durable product Rainguard SL Aluminium rainwater systems will offer a long and maintenance free lifecycle, added to the fact that it is a 100% recyclable material, it becomes an ecologically sound choice. For more information on Yeoman Rainguard SL Aluminium range, or indeed any of their products then go to www.rainguard.co.uk or call 0113 279 5854.